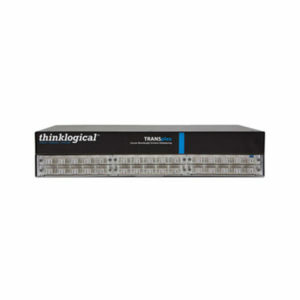 The TRANSplex is a 4 to 8 channel optical CWDM/DWDM multiplexer/demultiplexer. It allows for transmission of multiple protocols over an existing fiber link by combining the fiber outputs of multiple media converters. The TRANSplex system is completely passive, i.e. requires no main or DC power to be applied, with all of the transmission power coming from the source optics. In addition, it supports a variety of wavelength combinations and port configurations, which ultimately enables more information to be sent over the existing fiber media. This makes the solution highly reliable and cost-effective.